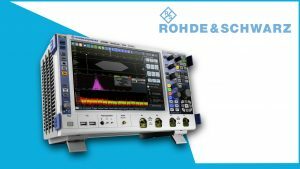 Rohde & Schwarz has added a new 6 GHz model to its R&S RTO2000 series, opening up measurements on fast communications interfaces and IoT applications. 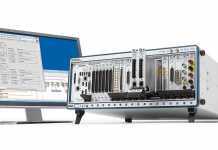 The exceptional characteristics of the compact R&S RTO2000 lab oscilloscopes make them the ideal instrument for demanding measurement tasks such as power integrity measurements. The new R&S RTO2000 model with 6 GHz bandwidth allows developers to test the radio interfaces of 802.11ac WLAN components for IoT modules in the 5 GHz band as well as fast communications interfaces such as USB 3.1 Gen 1 with data rates of 5 Gbit/s. 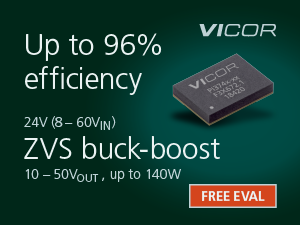 Thanks to its multi-domain functionality, only a single compact instrument is needed to analyze power supplies, processors and sensors with up to 6 GHz bandwidth. 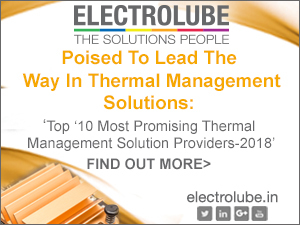 Synchronized time, frequency, protocol and logic analyses results allow users to debug at the system level. The R&S RTO2000 offers users the best oscilloscope performance in its class, even at 6 GHz bandwidth. Up to 16-bit vertical resolution in high definition mode enables developers to detect even the smallest of signal details. The R&S RTO2000 is the only oscilloscope to offer one million waveforms per second, allowing fast identification of even the most sporadic signal faults. 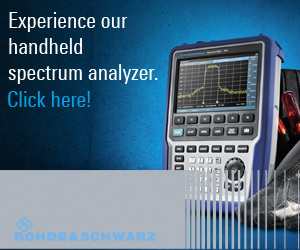 The integrated spectrum analysis and spectrogram display make it possible to observe the signal path in the frequency domain as well as over time. The zone trigger for the time and frequency domain supports developers in their day-to-day tasks. This unique function lets them isolate events graphically in the time and frequency domain, for example in order to separate read and write messages from memory interfaces. 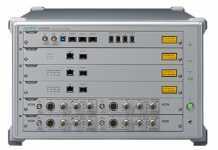 The R&S RTO2000 offers an unmatched 2 Gsample memory, so users can analyze even long pulse and protocol sequences. They can also use the history function to retrieve previously acquired waveforms. The high-resolution, 12.1″ touchscreen and the color-coded controls make the R&S RTO2000 especially intuitive to use. The app cockpit provides direct access to all available applications, such as trigger and decoding functions, conformance and signal integrity tests, I/Q analysis and even customer-specific development tools. 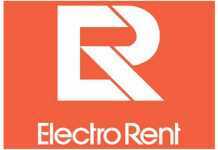 Previous articleUnion Budget: What Has Come to the Electronic & Tech Industry’s Share?